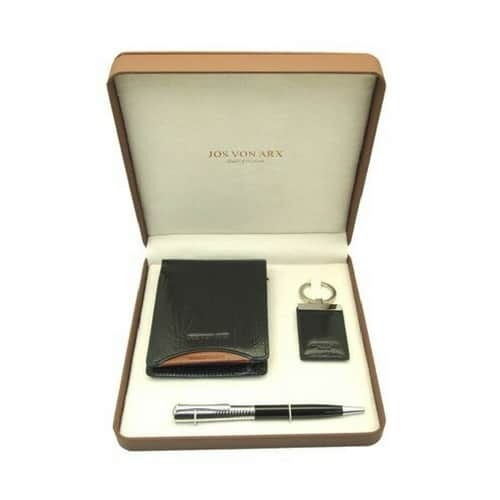 Jos von Arx Money Clip and Oval Cufflinks. 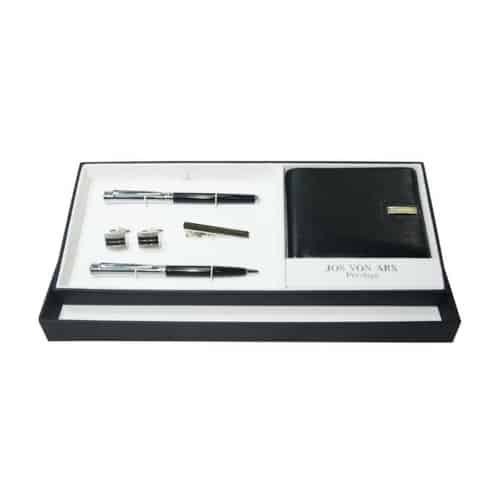 An executive 2 piece gift set, with a money clip, silver in colour, with detailed lines throughout. 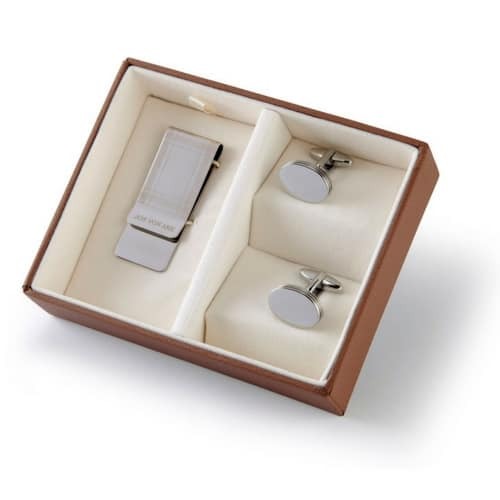 Also included are a pair of brass oval cufflinks, silver in colour, with plain front allowing for laser engraving. 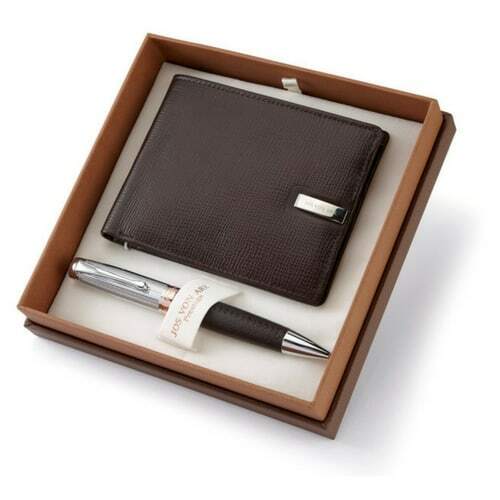 Presented in a brown gift box. 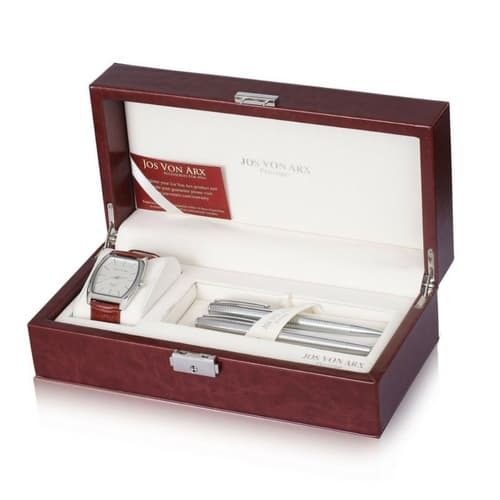 This is a perfect small gift to present as a simple ‘Thank You’ or to mark the end of an important company project.